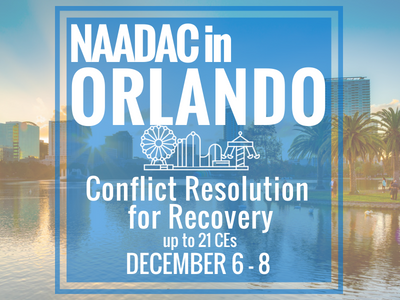 Conflict Resolution for Recovery in Washington, D.C.
Join NAADAC's Executive Director, Cynthia Moreno Tuohy, BSW, NCAC II, CDC III, SAP, for a two-day training on Romancing the Brain: Conflict Resolution for Recovery. Earn 14 CEs! Do you want to learn how to provide Conflict Resolution for Recovery training to other qualified individuals? Join Cynthia Moreno Tuohy for the full-day Train the Trainer training on December 8, 2018. Registrants must complete the two-day Romancing the Brain: Conflict Resolution for Recovery training to be eligible for the Train the Trainer training. Earn an additional 7 CES! 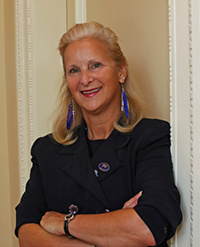 Cynthia Moreno Tuohy, BSW, NCAC II, CDC III, SAP, is the Executive Director of NAADAC. She previously served as the Project Director of Central East Addiction Technology Transfer Center and as the Program Director for Volunteers of America Western Washington. She has been the administrator of multi-county, publicly-funded alcohol/drug prevention/intervention/treatment centers. She has been an international, national and state trainer for over 25 years in a variety of topics. She has also served as President of NAADAC and has worked as a curriculum writer. Her book, Rein in Your Brain: from Impulsivity to Thoughtful Living in Recovery, was released in May 2014 by Hazelden Publishers. Moreno Tuohy holds a bachelor’s degree in social work and advanced studies degrees in social work and public administration.